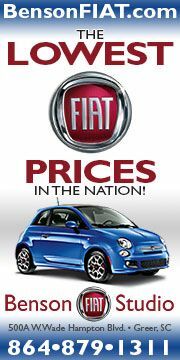 Registration for the largest Fiat event of the year has just kicked off! 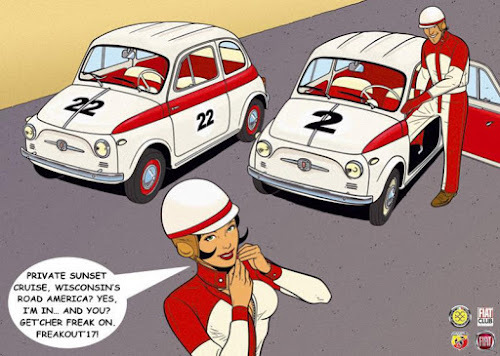 Called the Fiat FreakOut, the annual event is the national convention of Fiat Club America (FCA) and is now in its 34th year. 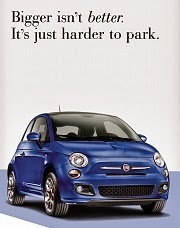 The Fiat FreakOut is a multi-day event filled with fun activities and friendly Fiat enthusiasts. 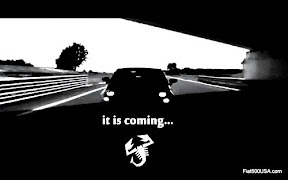 This year's FreakOut is being held in Milwaukee, Wisconsin and promises to be something special. The busy five-day event starts on Wednesday, July 19th and runs through Sunday, July 23rd. Scheduled are scenic drives, dinners, games, and get-togethers, including a Private Sunset Cruise at the legendary Road America race track, plus Fiat vendors and a Concorso/Concours auto show that should not be missed. Homebase for the 2017 Fiat FreakOut is the Sheraton Milwaukee Brookfield Hotel, and there is a special room rate available. Get your reservations in early! Link to book your rooms now at a special discounted rate of $109 per night. 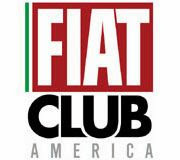 Register for the Fiat FreakOut by going to the Fiat Club America website. 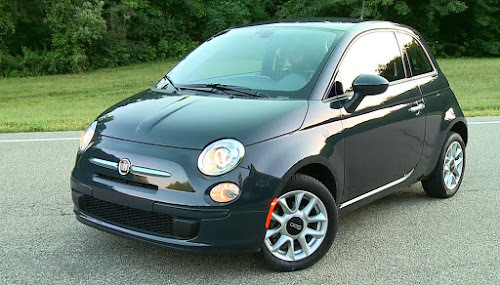 Discuss the Fiat FreakOut on the Fiat Club America Forum hosted on the Fiat500USA.com forum. This year's FreakOut is hosted by the Milwaukee chapter of Fiat Club America. The Cream City 500 Club (CC5C) is a staple of the local Fiat community and beyond and is very active with events and drives. It also has a great blog and Facebook page which is worth checking daily. The creative and talented Amado Rodriguez, also known as Amacento to the online Fiat world, founded and runs the Cream City 500 Club and is known for his unbridled Fiat enthusiasm and promoting the Fiat brand. He and his team put together the fantastic itinerary seen below. Helping with this year FreakOut is Sean Kane, nephew of the late Damon Kane who was a beloved FCA member remembered for his great cruises and scenics drives. This year's FreakOut shows Sean carries on Damon's grand tradition. The Cream City 500 Club has partnered with the local Fiat dealer - Palmen Alfa Romeo-FIAT and the exotic sports car dealer - Reina International Auto and are both major and generous sponsors of FFO17. Just three years old, the well run and organized local CC5 Club was able to put together a winning bid for the national Fiat FreakOut convention, which should be an inspiration to local Fiat clubs everywhere. Note: This year we are dividing planned activities into Sportivo (high energy) and Normale (laid back). 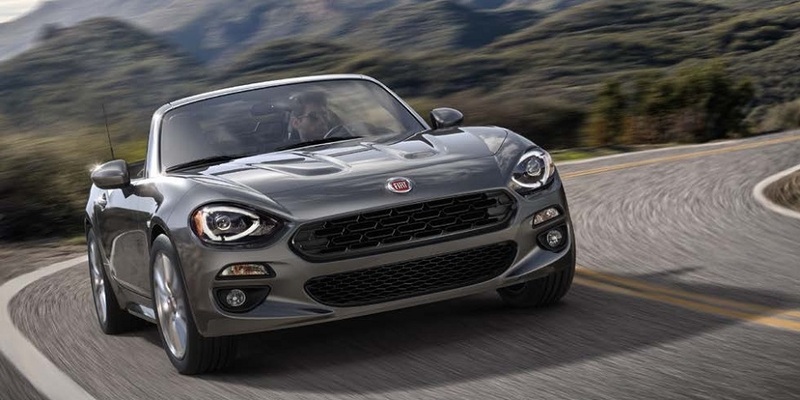 We want to offer varied options while mining the long held FIAT tradition of introducing a (both) Sporty and Economic range of vehicles. There is F-U-N to be had by all! Sportivo: Holy Hill Basilica, Wisconsin/Wisconsin Auto Museum back roads romp. Join us for a fun drive, through some Wisconsin back roads, to famed Holy Hill and the Wisconsin Auto Museum (Historic WI). Sportivo: Join our caravan to a FIAT Club America-only Sunset Cruise at the legendary Road America race track. Normale: Don’t worry if you arrive a little late Friday or your car can’t make it the trek to Road America. 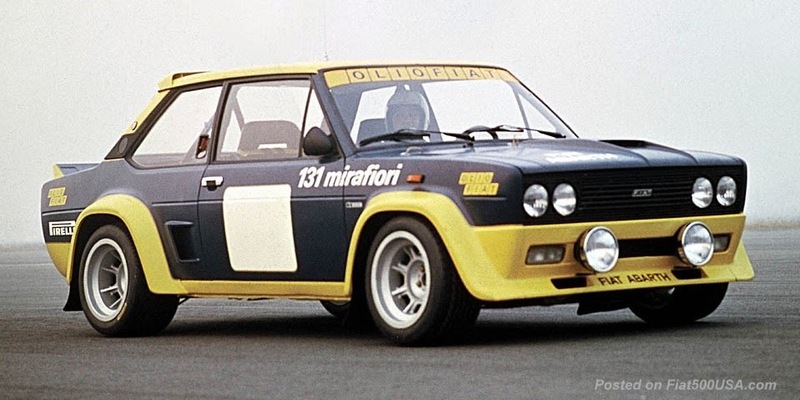 FIAT Club America has you covered. Milwaukee Food-City Tours will be serving the [inter]national FIAT S.p.A. community with their Pizza Bus rides around our fair city. Experience a desert oasis, a tropical jungle and special floral gardens all in one afternoon and an amazing lighting display in the evening! The incredible diversity of plantlife you will encounter reminds us all of the Earth’s unique diversity of plant and animal species so very vital to our own survival. Come to the deserts of Africa, Madagascar, South America and North America in the Desert Dome where one of the world’s finest collections of cacti, succulents, shrubs and arid-land bulbs grow. An Oasis of Pampas Grass and desert palms beckons as paths lead you past many plant oddities with intriguing geometric forms, subtle coloration and unique adaptations to hot, dry habitats. Stroll the jungle-like trails of the Tropical Dome and see a rich diversity of plants from the rainforests of five continents. Showy flowers, fruits, nuts, spices and a multitude of orchids and bromeliads surround you as you’re drawn toward a rushing waterfall in this paradise. Be sure to look for the colorful birds that call the Tropical Dome their home. Enter a themed floral exhibit filling the Floral Show Dome with gardens of color. Five seasonal displays each year will delight you with their beauty and will serve to inspire your own gardens. Then, we will reconvene at the Milwaukee-Brookfield Sheraton for our awards banquet. IMPORTANT NOTE: The itinerary below is actively being tweaked at this time – and IS LIKELY TO CHANGE. Make sure you visit the Fiat Club America FreakOut page, the CC5C Facebook page or the OFFICIAL 2017 Fiat FreakOut forum thread for updates.